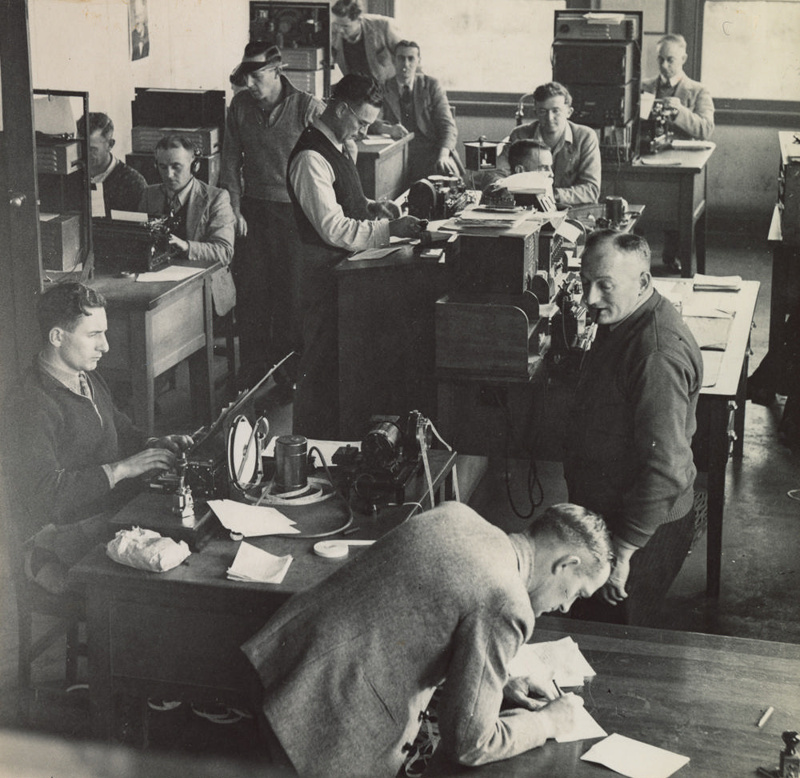 This photograph was taken in the Awarua Radio Station operating room in 1945 when a snow storm took out the telephone lines between Invercargill and Christchurch. 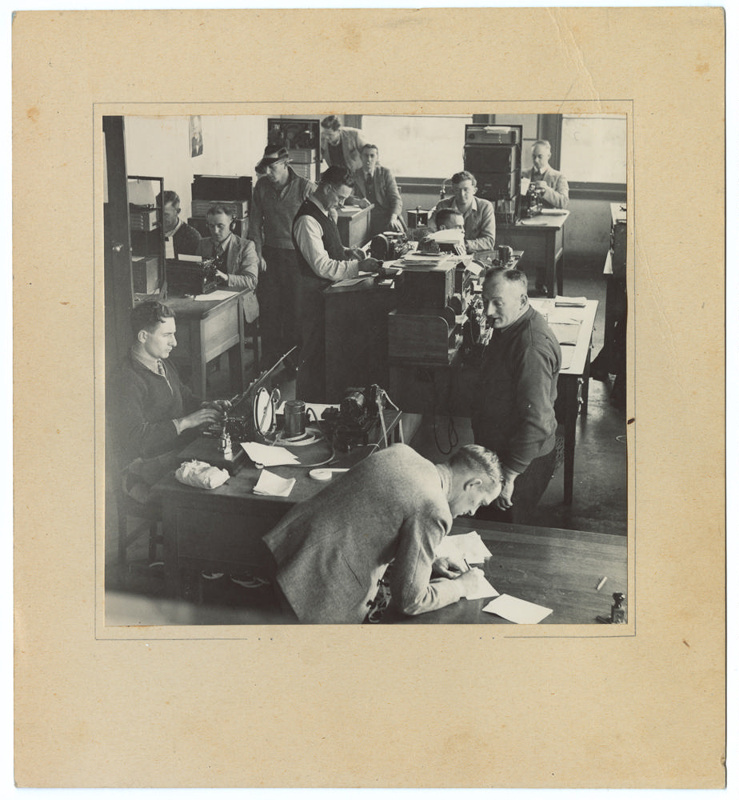 With the telephones out of actions, the only way to communicate through much of the South Island was via radio. Handwritten in pencil on the back of the photograph: '2599.000A'.